Wayne Mardle has added his thoughts to the debate swirling around Gerwyn Price’s Grand Slam of Darts performance. The Welshman caused a shock by powering to his first PDC major title in Wolverhampton. But Price caused controversy throughout, clashing with Simon Whitlock and Gary Anderson. His conflict with the latter in the final has been referred to the DRA for investigation. Mardle suggested that the Grand Slam showdown was another symptom of Price’s gameplan. “It was brewing. It got beyond a darts match, it got ridiculous in the end,” Mardle told Sky Sports. “You shouldn’t be touching other players. You shouldn’t be backing in, pushing. 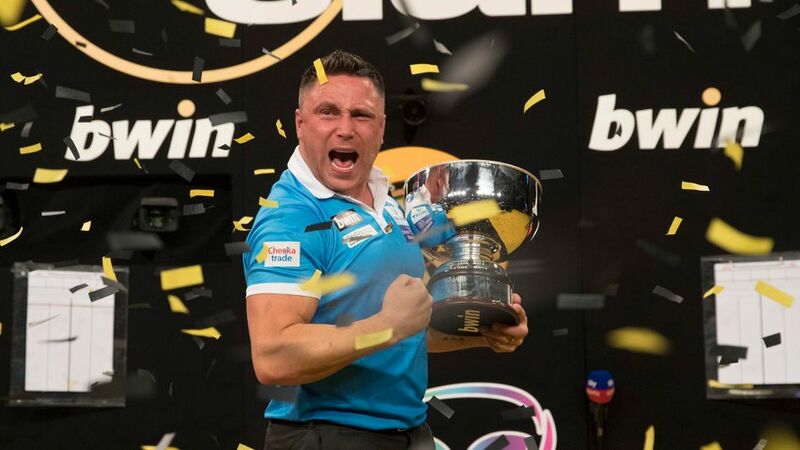 Gerwyn Price pushes the buttons of other players – that is a fact. But the Sky Sports pundit did take the time to praise Price’s mentality. Though things got heated on the oche, the Iceman kept his cool on the biggest stage of all. The same cannot be said for Anderson, according to Mardle. “He has held it together better than anyone in the tournament. Gary Anderson will be absolutely livid with himself. It’s not for Gerwyn Price to worry about. He has done his job, which is all he can do,” he said. “Forget all the shenanigans, he beat him fair and square. A lot of people don’t like his antics and I can see why but he has held it together.